Well, maybe it’s not so happy. 14 out of the 15 hottest years on record have occurred since 2000. We’re running out of water. There’s still pollution in the Gulf of Mexico. But we’re getting better! More cities and corporations than ever are committed to lowering greenhouse gas emissions over time. Renewable energy use is rising. Students at universities around the country, including mine (the University of Montana), are making the push to divest from fossil fuels. This year, environmental holidays like Earth Hour and World Water Day were smashing successes, bringing information and education to thousands more than years prior. NASA has created a new celebration this Earth Day, which they named #NoPlaceLikeHome. They are encouraging social sharing with the hashtag, with which users should share their favorite places on Earth. I’ll be sharing on Instagram, Twitter, and Facebook, so be on the lookout for that! The Environmental Protection Agency (EPA) is also joining the party with a Twitter chat (#EarthDayEveryDay) featuring EPA Administrator Gina McCarthy today at 3:30pm ET. 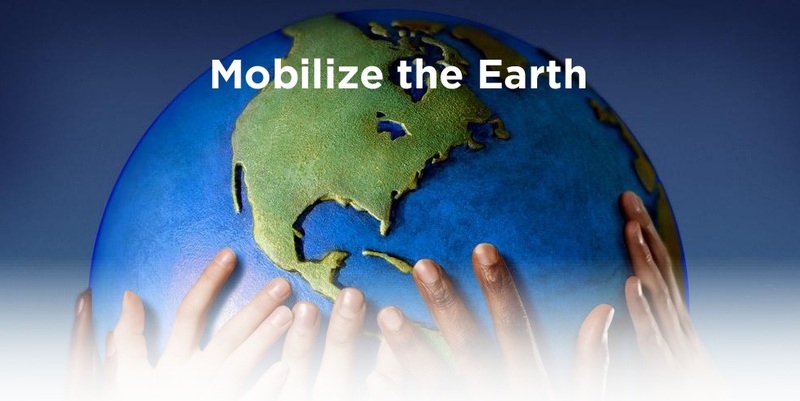 The EPA also encourages Earth lovers to celebrate Earth Day by watching videos, attending an event, and taking action. Sustainable development: this idea has grown in the past few years. LEED certified buildings are gaining popularity, as well as green cities. The green cities movement includes bike transportation, urban agriculture, and solar-powered buses, to name a few. Grassroots movements: like sustainable development, grassroots movements have come to t he forefront of the environmental movement, too. The biggest climate march EVER happened in New York City last September, so people are starting to see climate change and environmental issues as something we should be paying attention to. 2015 – the year of the treaty? : The world has tried, yet the US has never really signed a climate treaty.. yet. Earth Day Network hopes that 2015 will be the year of a treaty, one where global leaders will catch on to serious issues and start monitoring carbon dioxide output, TOGETHER. But the bigger question remains: will we actually do the things in said treaty? Time will tell. STOP USING PERSONAL CARE PRODUCTS WITH PLASTIC IN THEM, please: sorry for yelling, but it’s time, people. Did you know there’s plastic in some toothpastes and face washes? It’s easy enough to switch to a brand without them. Microbeads, made of plastic, travel through our drains and end up in our waterways, killing small organisms and clogging up ecosystems. Take it a step further and sign this petition, if you’re into that sort of thing. Reduce, reuse, recycle: Take a step back and re-evaluate the three pillars of eco-friendliness – reduce, reuse, and recycle. Reduce your consumption of plastic by using a reusable cup (see what I did there?). Reuse your containers (like glass jars, plastic lunch meat containers) to save other food, or to use in arts and crafts. Recycle said plastic cups and other recyclables in your bin or at your city’s recycling plant. Pledge an act of green: if online activism is your cup of tea, head over to Earth Day Network and pledge an act of green. Try to get them to 2 billion! Go outside: perhaps the simplest, yet the hardest to remember. Walk to class, ride your bike, or take your dog out for a much-needed run. Doing these things not only deepens your appreciation for the outdoors and gives you an excuse to exercise, it also takes us away from our homes, so we’re using less energy. Whatever you do, choose something you can commit to doing. Last year, I got rid of microbeads. This year, I’m going to try harder to buy food items with as little packaging as possible. Happy Earth Day! Check back Thursday 4/23 for Earth Week 4: the rise of renewables.